How I can hide all helm buffers? 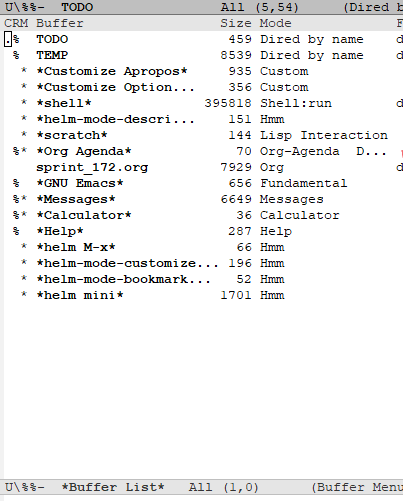 I'm don't want to Emacs to show them in Buffer List ? Helm comes with its own buffer listing commands that exclude helm buffers. Try M-x helm-buffers-list or M-x helm-mini (does the same, but adds more sources, like recently closed files). Not the answer you're looking for? Browse other questions tagged helm buffers or ask your own question. How to skip some buffers when use prev-buffer/next-buffer? Hide modeline in all bottom windows while helm is active? Change order of buffers in Helm buffers list?